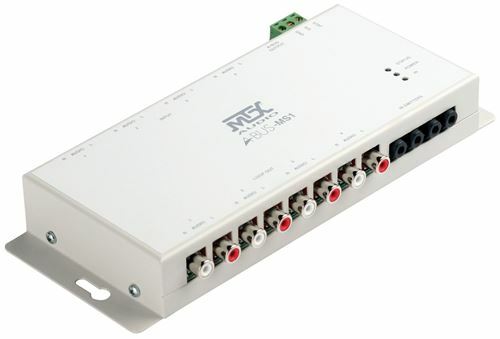 The MS1, An expansion port (IN/OUT), has 4 inputs allowing multiple hubs to be connected to expand the system for large installations. The A-BUS hub is the core of the audio system. It distributes audio signal, system power, and status indication to A-BUS power modules installed in rooms throughout the home and sends IR commands from the power modules back to the source components. A-BUS offers total control of entire home audio systems extending across all rooms in the house.